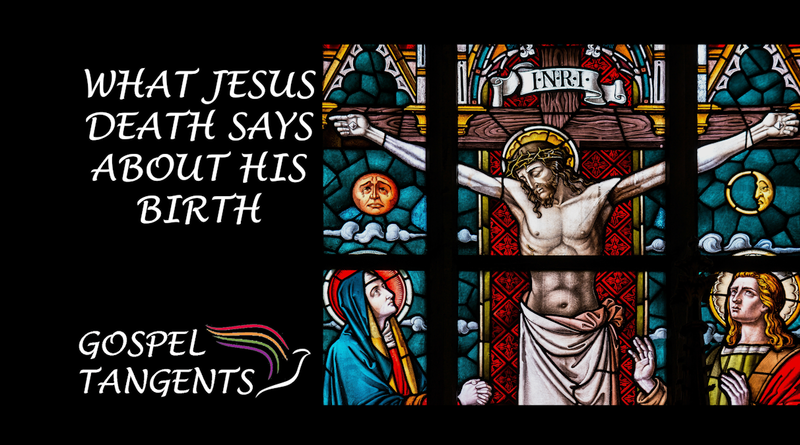 How long did Jesus live? Can the Book of Mormon give us insight into when Jesus was born? BYU professor Dr. Jeff Chadwick says the Book of Mormon gives us the key to figuring out both Jesus’ death, but also his birth year. Jeff: We only know that because of the Book of Mormon because Jesus has lived 33 full years in the space of the 3rd Nephi story. So, we know he’s lived 33 full years. I actually think he lives 33 years and a couple of months. He’s born in December of 5 BC and dies in early April of AD 30, which would make him like 33 and three months, but he lived 33 full years. That much is clear from the text of 3rd Nephi. He doesn’t live 34 full years. He is only 33, because his appearance in 3rd Nephi to the Nephites is dated to the ending of the 34th year. So, he’s been dead some time before the end of the 34th year gets there, meaning he only lived 33 years and whatever little time after that. We also go deeper into the Jewish calendar. Check out our conversation….. The Book of Mormon gives insight to the timing of both Jesus’ death and birth. Check out our other conversations concerning dating Christ’s birth! We’re continuing our conversation with Dr. Jeffrey Chadwick, New Testament scholar at BYU. We’ll talk about why Book of Mormon helps date birth of Christ. We’ll also talk about critics who complain that it says Jesus was born at Jerusalem. How does Dr. Chadwick respond to that charge? Jeff: …somewhere else there. Well, if you’re born in the land of Jerusalem, you’re in the vicinity there. There are some ancient texts that do refer to, we think, to Bethlehem as being in the land of Jerusalem, including some Egyptian texts. So, there’s nothing wrong with that. GT: So Egyptian texts say he was born in Jerusalem? Jeff: No, not that. They say that Bethlehem is a town in the district or Land of Jerusalem. One of the el Amarna texts, which actually dates long before 600 BC, notes, Bethlehem, a town in the Land of Jerusalem. So, it was not unusual in ancient times to refer to Bethlehem, if you had any reason to refer to it, as a town in the Land of Jerusalem. Alma 7:10 has never been one of those things that I’ve lost any sleep over. There are plenty of things you have to work to describe in scripture, but that one is not a problem. We’ll also answer other questions, like this: Didn’t Joseph Smith say Jesus was born on April 6th? Jeff: Joseph Smith made no statement on the timing of the birth of Christ. What Joseph Smith did was dictate the language of Doctrine and Covenants, section 20. But Doctrine and Covenants, section 20, verse one, which says that the church was established on the sixth day of April 1830 years after the coming of the Lord in the flesh. [This] was to note within the calendaring system, accepted at that time and still in ours, the date of the founding of the Latter-Day Saint Church, not the date of Jesus’ birth, in saying, and by the way, this is J. Reuben Clark in his book, ‘Our Lord of the Gospels,’ which was another Latter-Day Saint commentary on the life of Christ, which appeared 50 years after Brother Talmage’s. Brother Clark took the position that Doctrine and Covenants section 20 verse one is not giving the imprimatur of accuracy to our current calendar. That what Doctrine Covenant Section 20 verse one is simply doing is saying the church was established on April 6 in the year we generally refer to as 1830, the year of our Lord. That’s all, not more or less. In elder Bruce R. McConkie’s series called ‘The Mortal Messiah,’ he actually asks kind of in an end note to one of his chapters, what was the year of Jesus’ birth. Then after saying this is a question about which the learned delight to debate, he goes ahead and debates it. What he does is he states what Elder Talmage’s position was in Jesus the Christ where he used Doctrine and Covenant section 20, verse one to suggest that Jesus was born on April 6th, 1830 years before the church was founded, but then he also points out what President J. Reuben Clark said, which was that gospel scholarship in general throughout Christianity, based on historical documents available, particularly about the life of Herod the Great and about Roman dating, would say that Herod died in 4 BC and Jesus’ birth must be prior to that. Brother Clark, actually, in the dating scheme that he has in his book, puts Jesus’ birth in December of 5 BC. 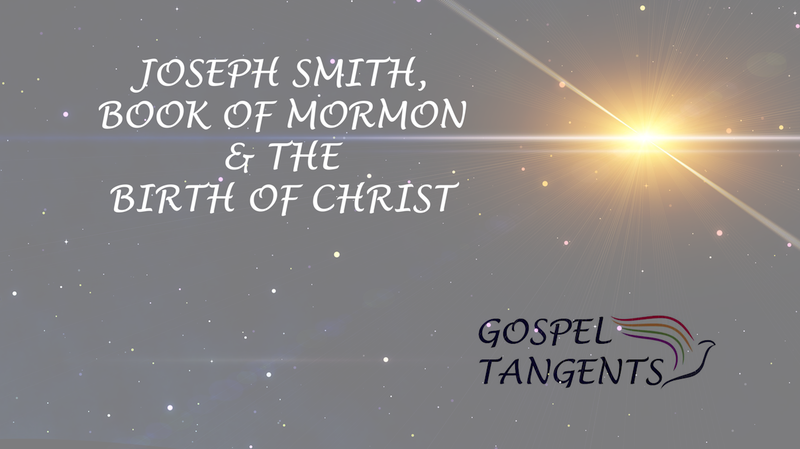 How the Book of Mormon helps date the birth of Christ? What are the clues Chadwick used to solve this puzzle? Check out our conversation…. Dr. Jeff Chadwick examines the Book of Mormon and April 6 for the birth of Christ.